In this week’s episode I interview Dr. Kent McCorkle, Ph.D chemistry professor and co-founder of BareBaby Organics. BareBaby launched on Amazon a couple of years ago as a completely unknown brand. 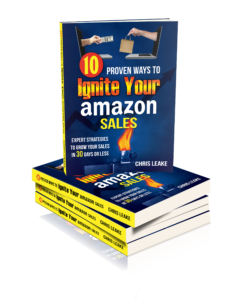 Since a few months after launch they have been consistently ranked #1 or #2 in Amazon search results for their niche. They are selling over 1,000 units a month of their products on Amazon. Each phase of the launch process had important steps to take and goals to accomplish. Kent used free traffic from Facebook groups to build an email list for his launch that was one of the important factors in their success. BareBaby has also very effectively leveraged traditional media by reaching out to newspapers and having several write articles on them. Learn more about what BareBaby did and why it worked by listening to this week’s episode! For a more detailed breakdown of BareBaby’s launch process, check out the article Kent wrote about it here. You can contact Dr. Kent McCorkle here.